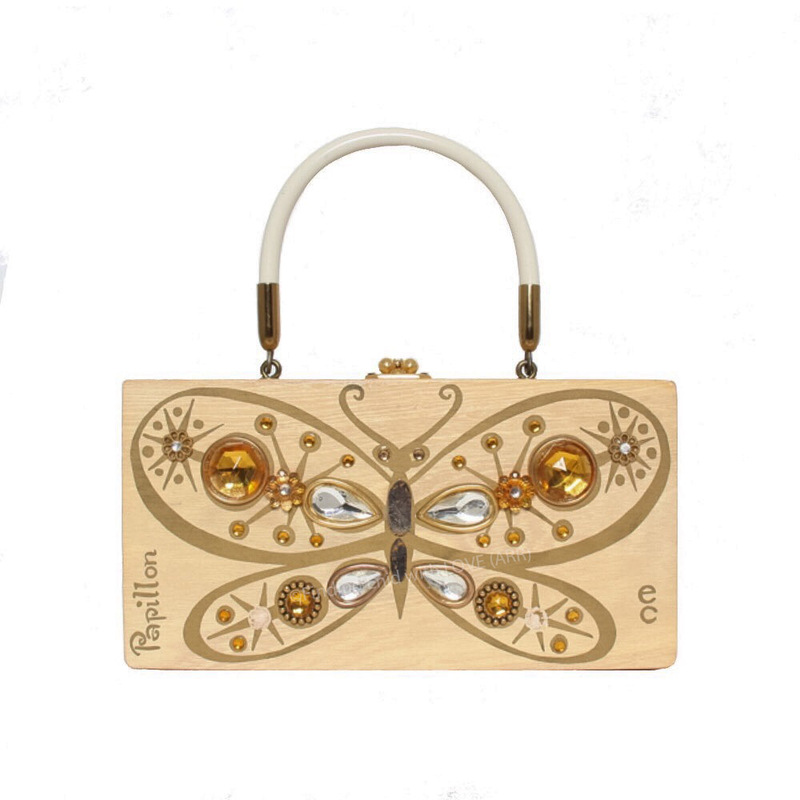 Box purse of light-toned wood screen printed in metallic gold, depicting a stylized butterfly with wings decorated in faux gems of amber and crystal. Gold acrylic embellishments. "Papillon," French for "butterfly," serigraph appears along left side of front in hand-script printed style. One variation on this theme. This Papillon is missing four jewels and I have yet to see a similar purse to solve the mystery. One variation on this theme.